If you love animals and love to send eCards like I do, then you’re going to absolutely LOVE Sloppy Kiss Cards! I became hooked several years ago when a friend sent me a birthday ecard in which a Boxer dog was the star of this hilarious animation. To those of you who know me, you’ll know all about my passion and obsession for Boxers. My first thought was ‘how did she do this?’ Immediately I began my investigation and discovered that I could do this too, and not just using Boxers, but a huge selection of over 250+ breeds of dogs, cats and other pets! I was instantly in puppy heaven, putting it mildly! Sloppy Kiss Cards is an animated ecard greeting service for pet lovers and pet businesses. Each ecard tells a story. 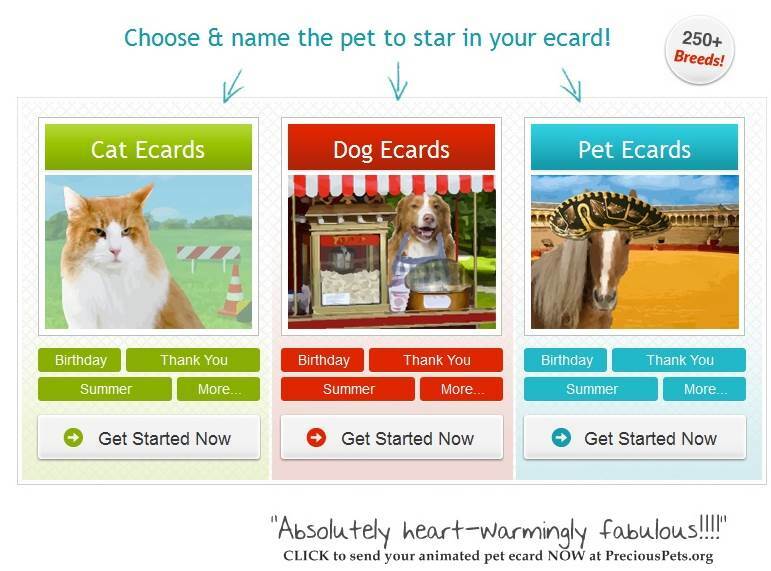 You choose and name the dog, cat, horse, bird, fish or other pet that stars in your ecard. They offer over 250 pets to choose from when customizing your dog ecard, cat ecard or pet ecard. If you can’t find a photo of your breed, you can upload your own photo. There are animated ecards for just about every holiday and occasion you can think of. The service works just like other ecard services where you can schedule your ecards ahead of time (or send immediately), track when they’ve been opened and even maintain your own easy-to-use address book for future sending. There is NO limit on how many ecards you can send…it is UNLIMITED! 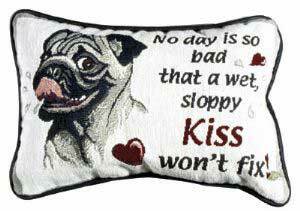 You can sign-up for your Sloppy Kiss Cards FREE 30-Day Trial and start sending ecards immediately. If you enjoy the service after using it for 30 days, and want to keep it, it’s just a mere $13.95 a year…yes, ONE YEAR! I could go on and on about how much I love Sloppy Kiss Cards, but the only way you’re going to understand is to try it yourself, for FREE!